The University of Richmond Writers Series will bring renowned poets and authors to campus to give readings of their work and engage the University and wider community. Poet Mark McMorris is a professor of English at Georgetown University and former director of the Lannan Center for Poetics and Social Practice. McMorris is the recipient of numerous honors and awards, including a Gertrude Stein Award for Innovative Poetry. He is the author of numerous poetry collections, including The Black Reeds and The Book of Landings, the final volume in a trilogy that examines the legacies of diaspora, language, and lyric. Poet Elizabeth Willis is on the permanent faculty at the Iowa Writers’ Workshop. Her most recent book, Alive: New and Selected Poems, was a finalist for the Pulitzer Prize. Her works include Meteoric Flowers and The Human Abstract, a National Poetry Series selection. Chad Wellmon is professor of German Studies at the University of Virginia. His research focuses on European intellectual history, Romanticism, and media and social theory. He is the author of several books, including Organizing Enlightenment: Information Overload and the Invention of the Modern Research University and the forthcoming Permanent Crisis: The Humanities in a Disenchanted Age with Paul Ritter. This event was organized by Nathan Snaza, director of the Bridge to Success Program. Poet Jennifer Moxley is the University of Richmond English Department’s fall 2018 Distinguished Writer in Residence. She is the author of seven books of poetry, a book of essays, a memoir, and three translations from the French. She is a recipient of the Lynda Hull Poetry Award from Denver Quarterly, and her poem “Behind the Orbits” was included in The Best American Poetry 2002 edited by Robert Creeley. Her 2014 book The Open Secret won the 2015 William Carlos Williams award and was a finalist for the Kingsley Tufts award. Writers participate in Q&A and book signings after the events, which are free and open to the public. Additional details about the writers are available online. 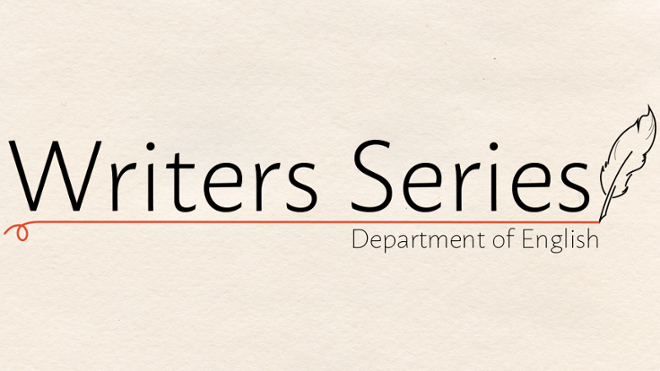 This event series is sponsored by the Department of English and the School of Arts & Sciences Dean’s Office.